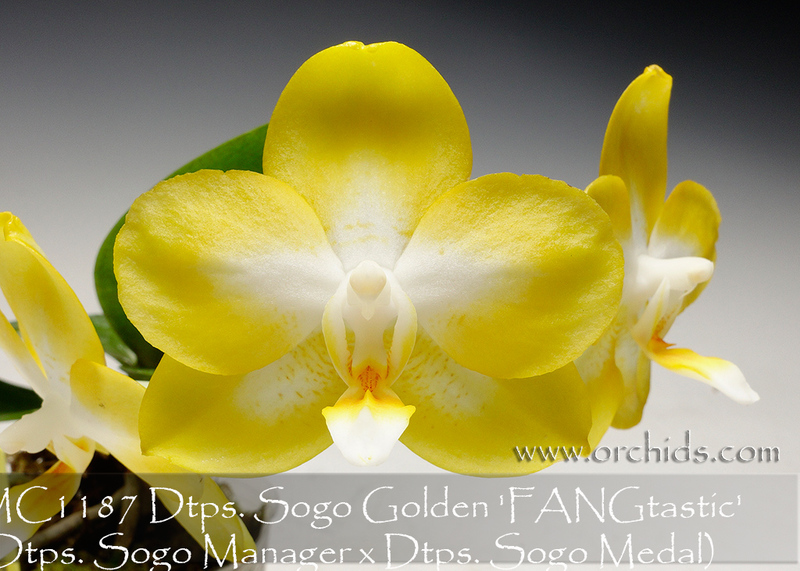 Great yellows are few and far between, and this clone of Dtps. 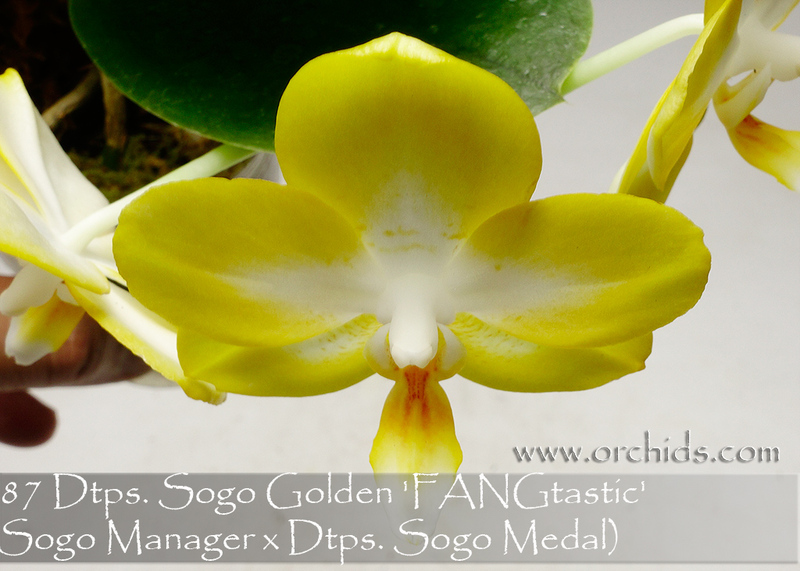 Sogo Golden is a perfect example of great, having just been granted its well-deserved AM/AOS ! With its compact leaf span bearing multiple sets of firm leaves, it produces strong upright self-supporting spikes. 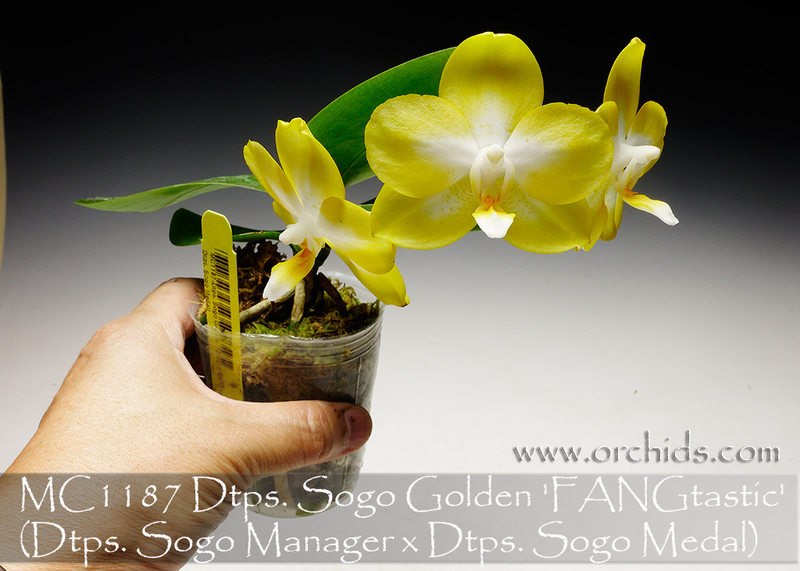 Displaying a very compact spike habit due to its Sogo Medal pollen parent, its non-fading waxy yellow flowers actually become even richer in color as they mature and emit a light fragrance on a warm day. Its flowers are beautifully contrasted with a dramatic white center and white lip, the white center becoming even more distinct under warmer temperatures. Highly Recommended! 'FANGtastic' AM/AOS Note: Very compact grower for type.